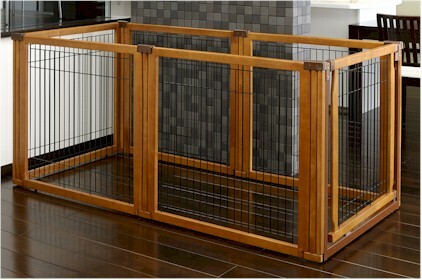 The Convertible Elite Pet Gate by Richell is a freestanding pet gate, room divider, and pet pen all rolled into one! This gate can also be converted into a pet pen. 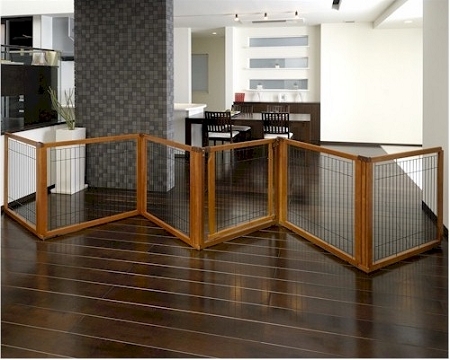 This wonderful gate comes in a 6-panel design with a rich brown hardwood finish. 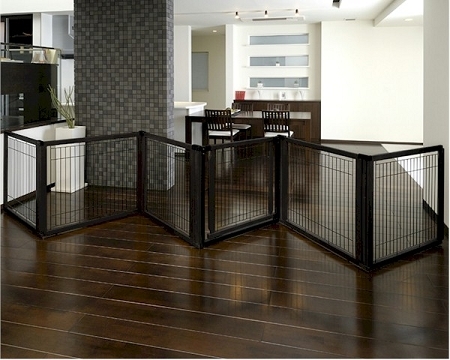 To create a stable room divider this gate must be set up in a zigzag pattern which is secured in place with cap-locks. To create a stable Freestanding gate, the two end panels of this gate must be folded in on a 90 degree angle which is held in place with the cap-locks.